I don't know what that says and that terrifies me. *stares as pic* *checks description* *stares at pic again* ... WTF DO YOU PEOPLE KNOW THAT I DON'T?! 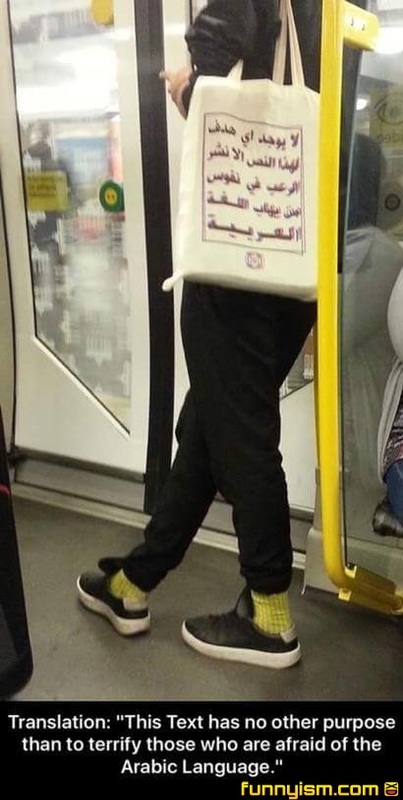 And on the other side it says "Derka Derka Mohammed Jihad!" My mother and sister speak Farsi so I ain’t scurred. Looks like a doctors shopping list to me.